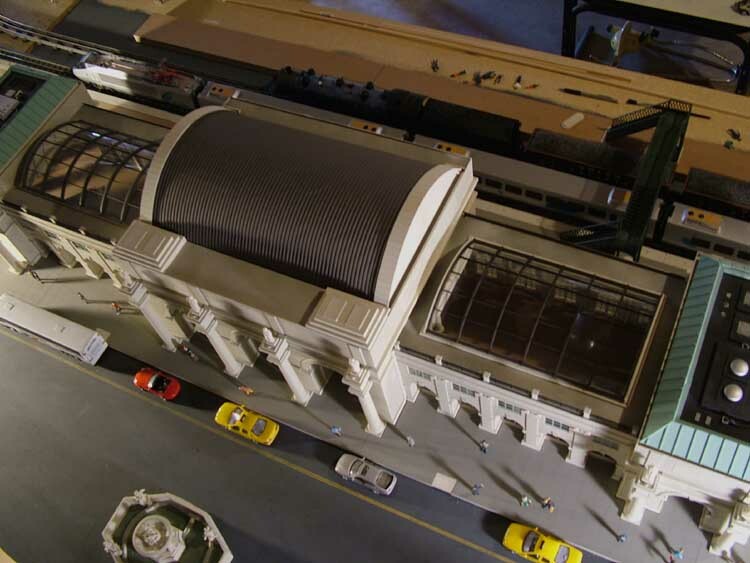 I like to call this an "O-Gauge interpretation" of Washington DC's Union Station - definitely not an accurate model, but selectively compressed to fit on a 4' x 8' table, and not overwhelm my basement layout. It is comprised mostly of laser-cut and laser-etched styrene sheets, painted and lightly weathered and then assembled with square wooden dowels. About a quarter of the way into the project, Mike Casatelli influenced me to proceed with a finished interior. I'm glad he did, because I've had a lot more fun with it. Wow!!! Now that is beautiful!! Great work there John- unbelievable work and it looks so authentic!! great job! John - there are not enough superlatives in the English language to describe your station. It is out-of-this-world magnificent! Stunning work! I love all the details! 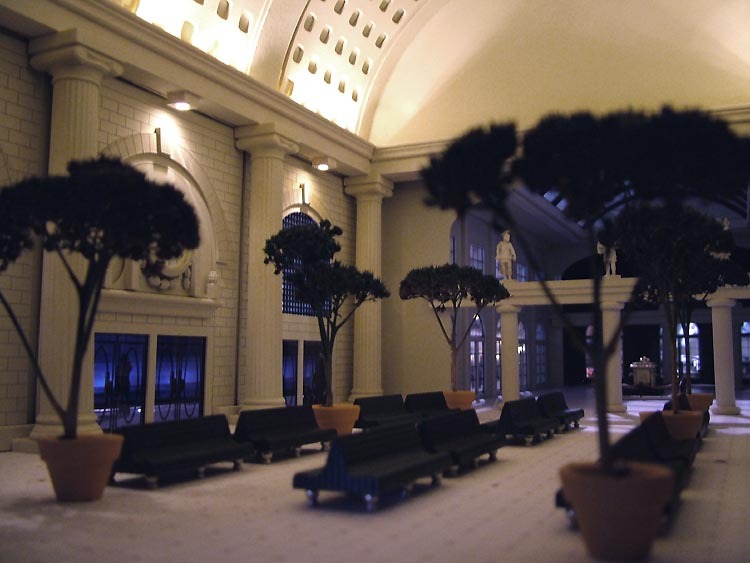 I myself have always had a passion for urban modeling but I have never produced anything like this! 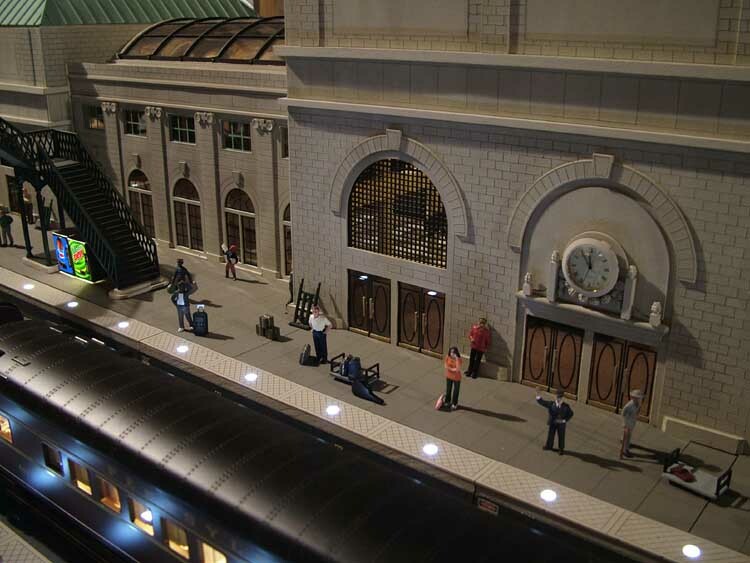 Union Station was always one of my favorites. Thanks t8afao, it's nice to hear it can inspire and engage other hobbyists. Wish I had more time to continue and finish it: as it stands, the station is barely half complete on the interior. A model for the ages! Truly a marvel to behold! A model for the ages! Great interior and lighting!